We provide friendly, professional service at competitive prices. 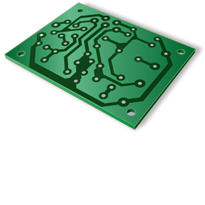 Our goal is to make all audio electronics or music related product repairs and or modifications right the first time, in a timely fashion. All work performed at Bell Audio Lab is guaranteed. Authorized Marshall and Mesa Boogie warranty repair station. Bell Audio Lab is also an authorized warranty center for: Orange, Kustom, Crate, Mackie, David Eden, and Randall. 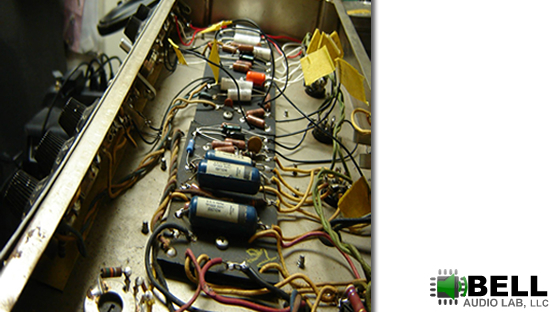 We service vintage tube equipment from Fender, HiWatt, Gibson, and others. 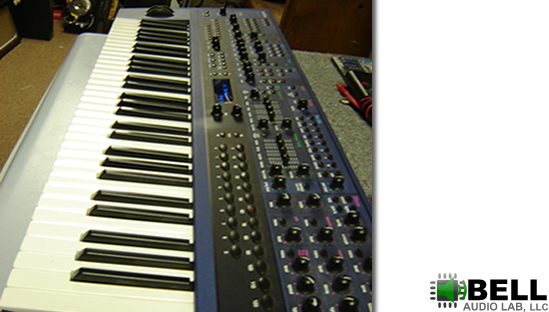 We service keyboards and synthesizers from most manufacturers! 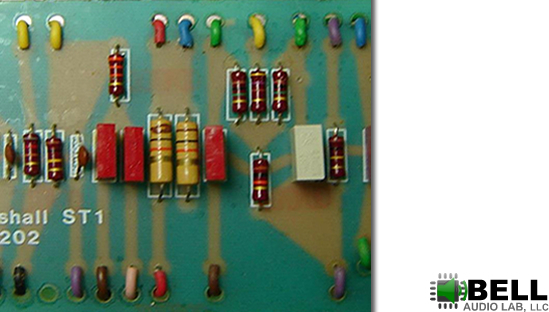 Vintage keyboard to modern synthesizer repair whether it's a Fender Rhodes, Wurlitzer, Yamaha, or it's a Korg Kronos or a Roland Jupiter-80. Bell Audio Lab repairs: amplifiers, mixing boards, outboard effects, speakers, guitar pedals, and recording equipment. Whether it's general maintenance or specific repair, all work is guaranteed. Bell Audio Lab can perform the smallest modification to your amplifier to extensive and massive modifications for recording studios, post production facilities, houses of worship, or sound reinforcement. Authorized Warranty Center For: Mesa Boogie, Marshall Amps, Orange Amps, Kustom, Crate Amps and Crate Audio, Ampeg, Mackie, Randall, and Hammond USA. Some examples of the work that is on our technician's workbench.